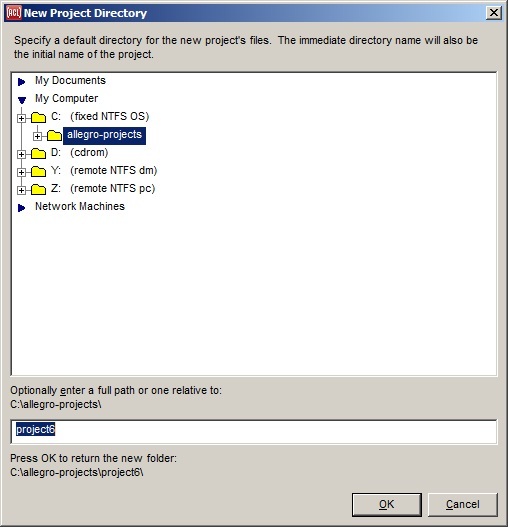 When a new project is created, by, for example, the File | New Project menu command, this dialog is displayed to allow choosing the default project directory. The chosen directory is displayed on the General tab of the Project Manager dialog. There is a default parent directory for Allegro projects, shown as the parent in the illustration (it is C:\allegro-projects). This directory is chosen by the Project Parent Directory dialog. That dialog appears the first time a new project is created.